Mühle Closed Comb Classic Razor fitted with oak handle. 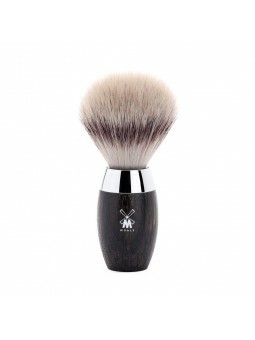 Mühle Fiber Silvertip Shaving Brush 31H873 medium. 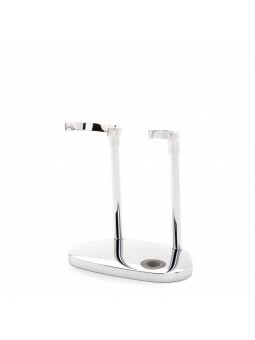 Fiber hairs developed exclusively for Mühle. 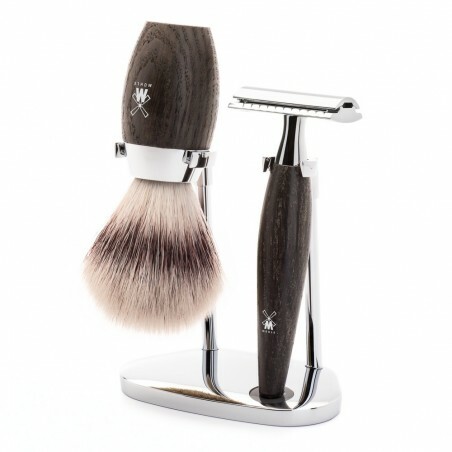 It gets its name from the extraordinary similarity to natural Silvertip badger – it is extremely soft. The advantage of this hair is that it consumes less product given that it is synthetic and does not absorb water. The flexible fibers lather soaps and creams alike and are hygienic and easy to clean. Olive wood handle. 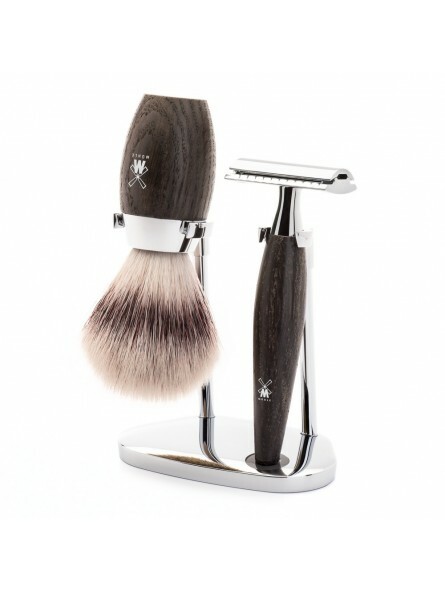 Available also to order with Mach3 or Fusion instead of the classic razor and it can be ordered in olive wood instead of oak.